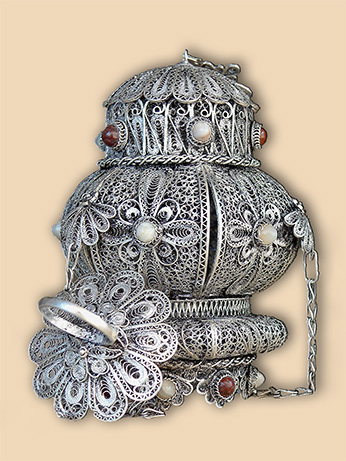 Icon vigil lamp consisting of 6 elements in silver filigree decorated with with brown and white jasper stones. The lamp is suspended on 3 chains. 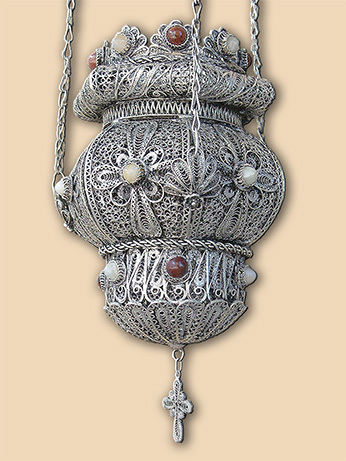 Size: 8×13 cm., chains 50 cm.